Tie up the loose ends. 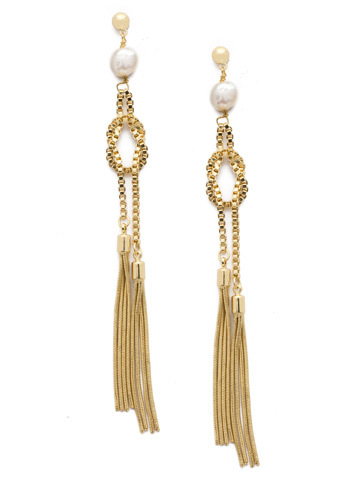 These dangle earrings feature two tassels attached to a box chain, square knot. All hung effortlessly from a natural pearl and circle post.